A big “thank you” to Lee Atcherley for allowing me to use the photographs below, showing three generations of one Atcherley family. 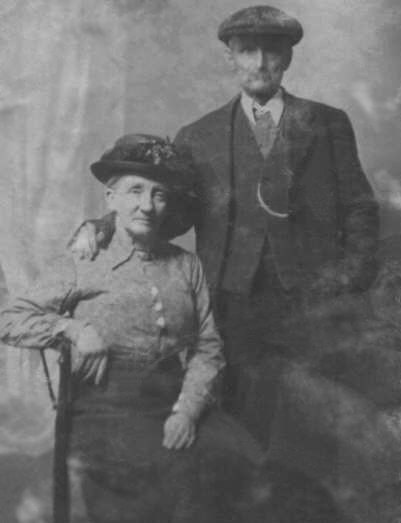 The marriage of Henry Atcherley [ ] (born 1860 at Sidney in the parish of Kinnersley or Kynnersley) and Hannah Teece [ ] (born 1862 in the parish of Ercall Magna or High Ercall) was registered in the first quarter of 1882 at Wellington, Shropshire. The couple had nine children, seven of whom grew up to marry and have children of their own. 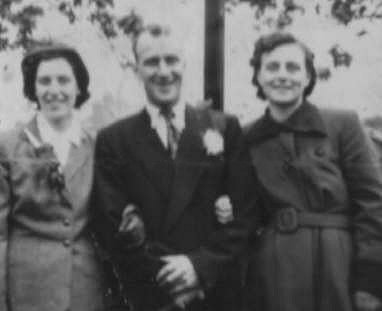 They both lived well into their 80s, Henry dying in 1947 aged 86 and Hannah passing away four years later aged 88. Henry and Hannah Atcherley’s eighth child was Thomas Atcherley [ ], born 2 Apr 1899 at Childs Ercall in Shropshire. 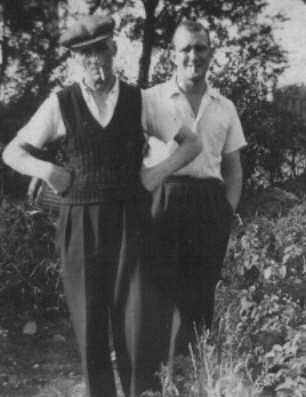 He is pictured above with his son, William Thomas Atcherley [ ], who was born 4 Jun 1923, probably at Kings Norton. Thomas worked as a labourer to begin with, but was later employed as a coal miner. 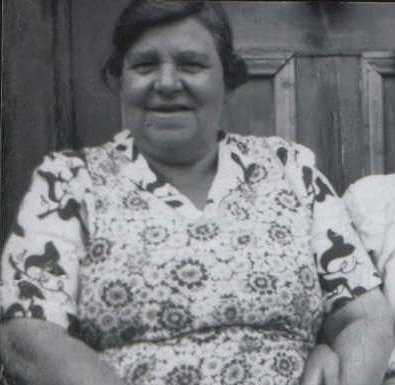 Thomas Atcherley’s first wife was Annie Colbourne [ ], who was born in 1900 in Kings Heath. The couple married there on 13 Mar 1920. After Annie’s death in 1952, Thomas married Sarah Elizabeth Hill, nee Taylor, the mother of his son-in-law Reg Hill. Thomas and Annie’s son William Thomas Atcherley married Nancy Fowler [ ], nee Herrington, in 1953. They are pictured above with William’s sister Amy Atcherley [ ]. William and Nancy had one child, a son named Graham, who sadly died in infancy.